I’m a geek and proud of it, so when my 26 year old canister vacuum’s motor seized up and died and ugly death, it was a choice of which “connected” vacuum to purchase and not a “should I” purchase decision. 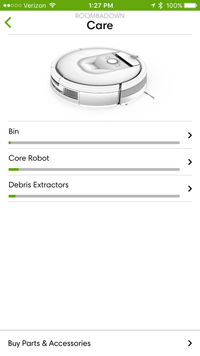 There were only two to consider, iRobot’s Roomba 980 and a Neato Botvac Connected Vacuum. 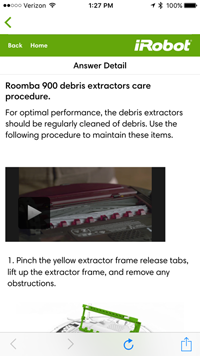 While Neato’s vacuum was cheaper, iRobot has been in the business a long time, and I ultimately used that plus reviews and am the happy owner of a Roomba 980. There’s no question that these Wi-Fi controllable robotic vacuums are expensive, but using my (admittedly skewed) justification math, if I value my time at $50 an hour (a low ball as I know my time is worth more than that) and compare to a Dyson, or an Electrolux, the extra $$ don’t seem very large. And I get back a couple of extra hours a week that I don’t have to spend dragging the old canister around my home. And if I didn’t mention it, I loathe vacuuming. Roomba does an awesome job on my carpeted and linoleum floors, switching transparently from carpet mode to floor mode. And Roomba is actually quieter than my old canister. 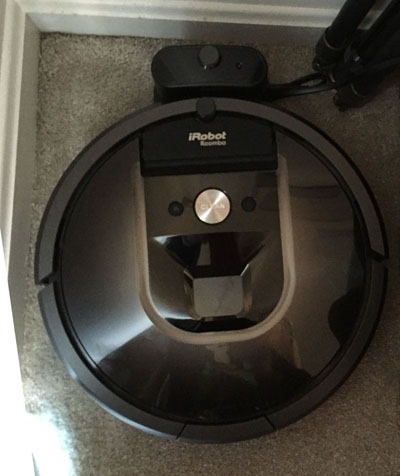 Roomba 980 comes with a Home Base Docking Station and this amazing little guy finds his way back to the Home Base when a cleaning job is finished or when it needs to recharge in the middle of a cleaning job if the battery runs low. Once charged, Roomba just picks up where it left off. This vacuum comes with these two battery powered virtual lighthouses that work in two different modes that allow you to “mark” areas off limits. So I don’t have to worry about that tangled mess of cords and wires around my Living Room home theater setup. 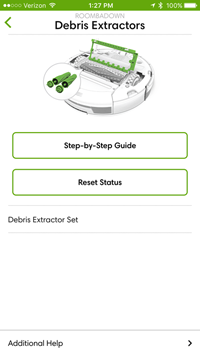 While you can operate Roomba from the button controls on the top of the device itself, the real advantage is control from your smartphone. Only iOS and Android are supported (same story for the Neato Botvac), but I’ve become accustomed (sadly) to lack of Windows and Windows device support in the Connected Home arena. Fortunately, I have an iPhone. 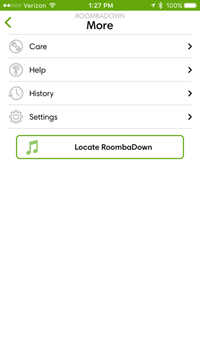 And the real joy of owning a Roomba is remote control using the smartphone app. On a basic level, the app displays the battery information and all you have to do is tap Clean and let Roomba do its thing. 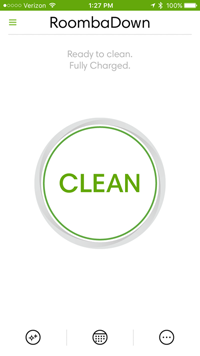 However, you can tap your way down to more functionality that lets you view Care (what parts need cleaning), a History of cleaning jobs/cycles, Settings and even Help. Cleaning the appliance takes maybe all of 5-10 minutes and the Care status screen lets you visually see what might need attention. While the bin needs to be emptied after each job and the HEPA filter banged against the inside of a trash can a few times after every job, other Care tasks can be done weekly or monthly, depending on usage. 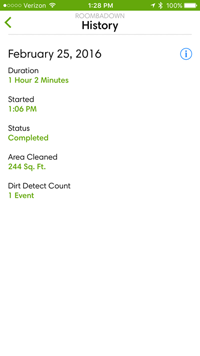 The app provides all the info needed to perform these tasks, including videos on “how to” do these things. If you can’t tell that I’m impressed with this latest addition to my Connected Home.. I can assure you I am.